This post is part of our 3-part HeroConf London 2018 series, where we’re sharing session insights exclusive to attendees only – until now! This post covers an expert session about perfecting ad extensions. Stay tuned for part 2 and 3 to come! 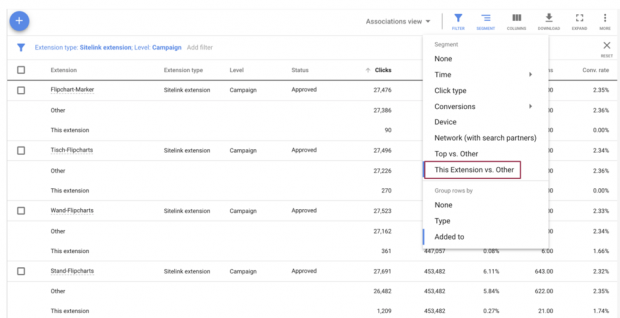 Ad extensions are a godsend for any PPC marketer. When you get it right, they can provide an increase in CTR and conversions (not to mention hogging precious SERP real estate). But not all extensions are made equal. 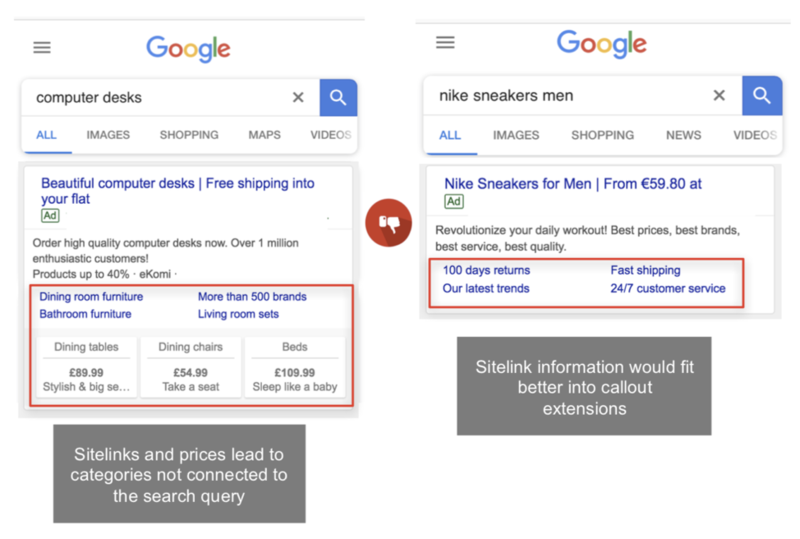 You may find, for example, that sitelinks generate very little attention – or worse, the clicks you do get generate a horrifically low conversion rate. So, how do you optimize your ad extensions to get the best results? In his HeroConf workshop, “Ad Extensions as a Lever for Powerful Text Ads,” Stefan Stopper from Smarter Ecommerce shares his practices for making ad extensions work for you. 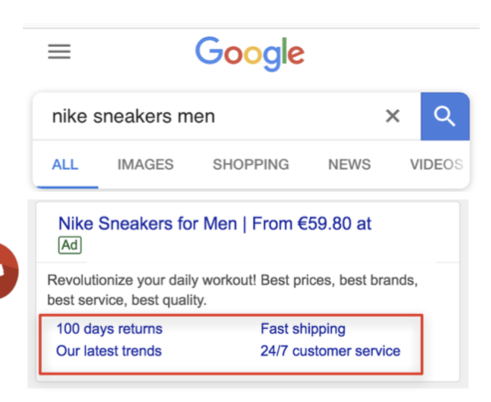 Here, you’ll learn how he increased results for his clients by measuring the performance of existing ad extensions, how to optimize them based on user intent and a method of automating the entire process. 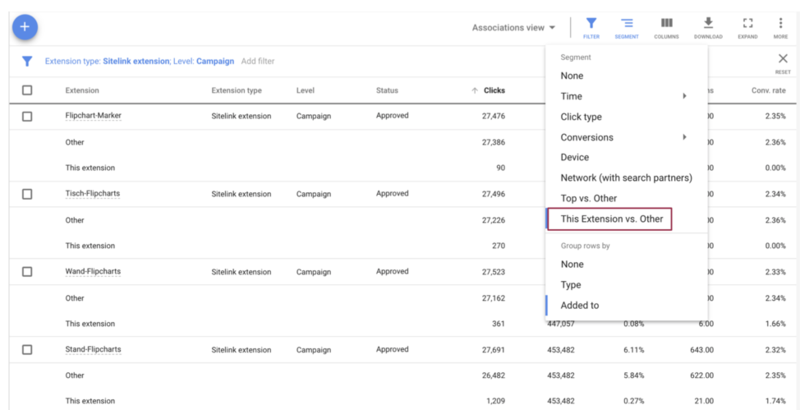 When going deep into something as tactical as ad extensions, it’s important to measure existing results and prioritize campaigns/ad groups for your optimization efforts first. Here, you can see that conversion rates vary across each campaign. In fact, under campaign “PE: Category & Brand,” you can see that it generates the majority of clicks while having the lowest conversion rate. 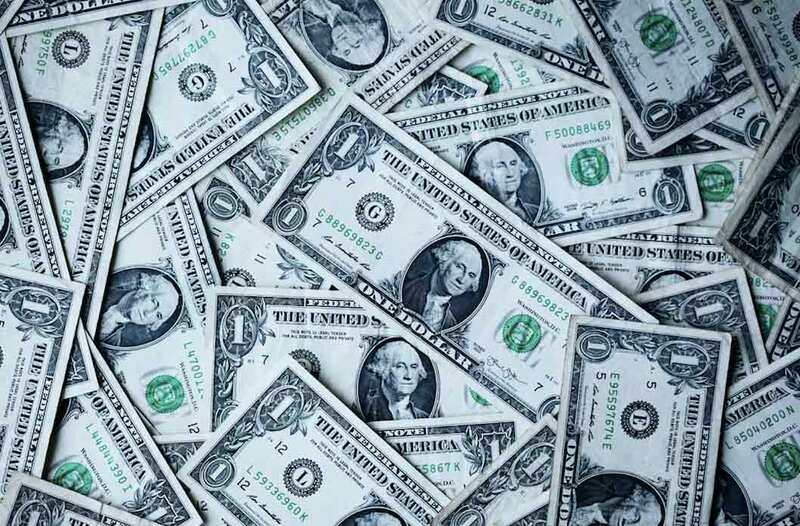 From here, it’s time to take an honest look at your ads and the extensions they use. 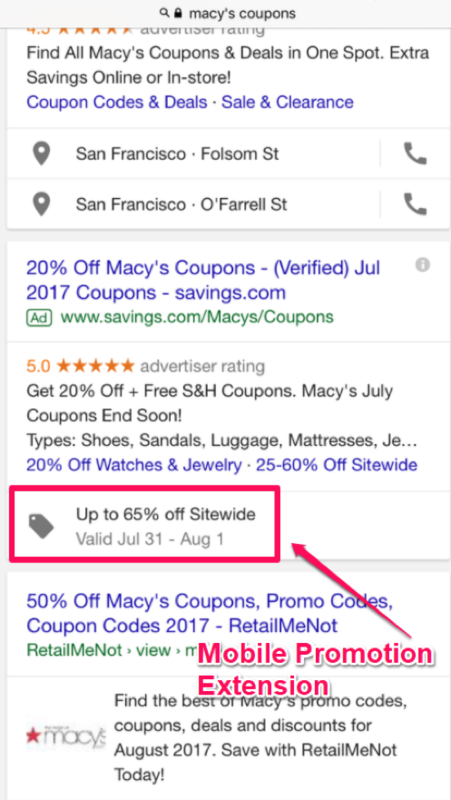 It’s not just about what your ad extensions “say,” but which extension types you use in the first place. Analyzing performance across each ad extension allows for an apples-to-apples comparison. You’ll begin to see why one campaign performs better than the other, allowing you to figure out what’s causing the difference. In the example above, the sitelinks for someone looking for “computer desks” seem random, and fail to continue the journey the searcher has started. Similarly, with the Nike example below, this information would be better laid out in a different manner. The primary methodology here is understanding and catering to user intent first. 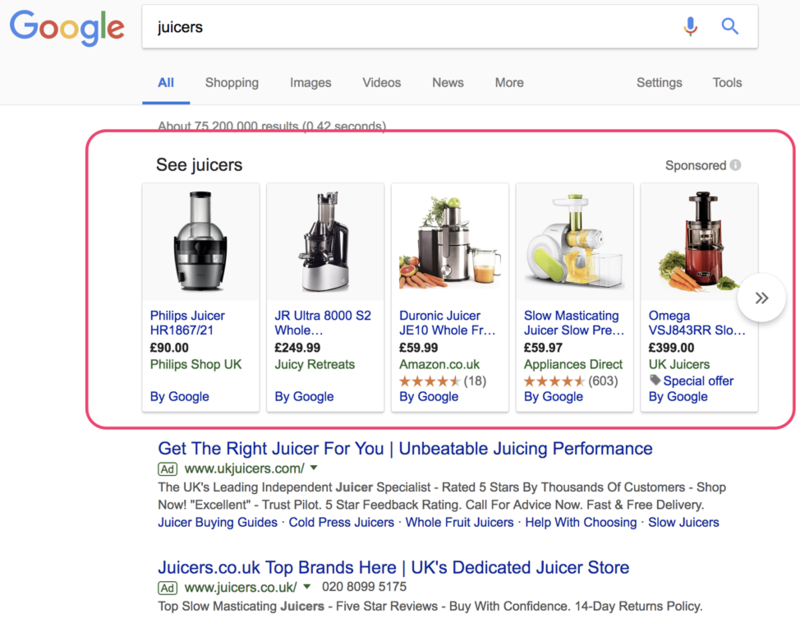 If the ad extensions you’re offering don’t assist the searcher to reach their desired outcome, then don’t use them in the first place. You should now have an understanding of the general methodology behind this approach. Let’s look at some specific tips you can apply to your thinking when coming up with hypothesis for your experiments. 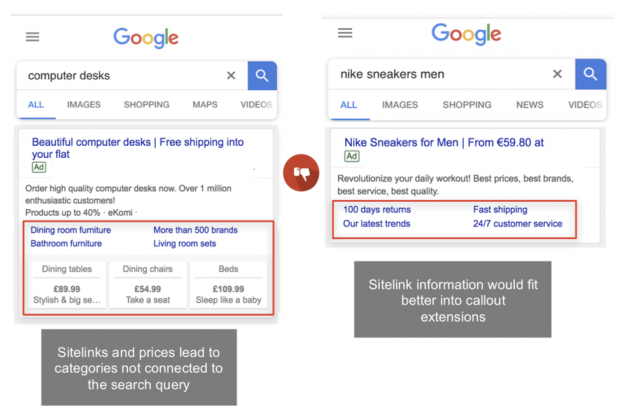 In the examples above, you saw how irrelevant sitelinks can lead to a disjointed customer experience. If I search for “computer desks,” for example, and see links for “lounge furniture,” it’s likely to confuse me as a buyer. Not sure which products to include? Look at your top performing products under that category. 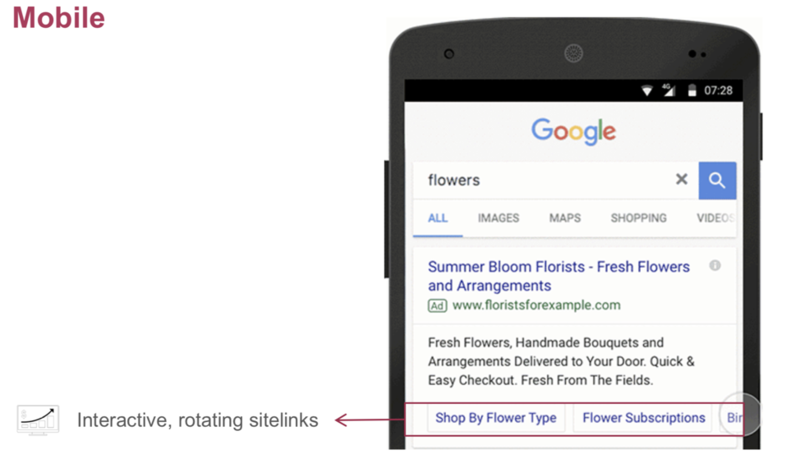 Include sitelinks to your top sellers in order to increase the chances of converting a user into a customer. Remember this example from earlier, which used sitelinks to “show-off” various value propositions? The copy itself helps reduce anxiety and boost trust, sure. But they’d be far better off as callout extensions. 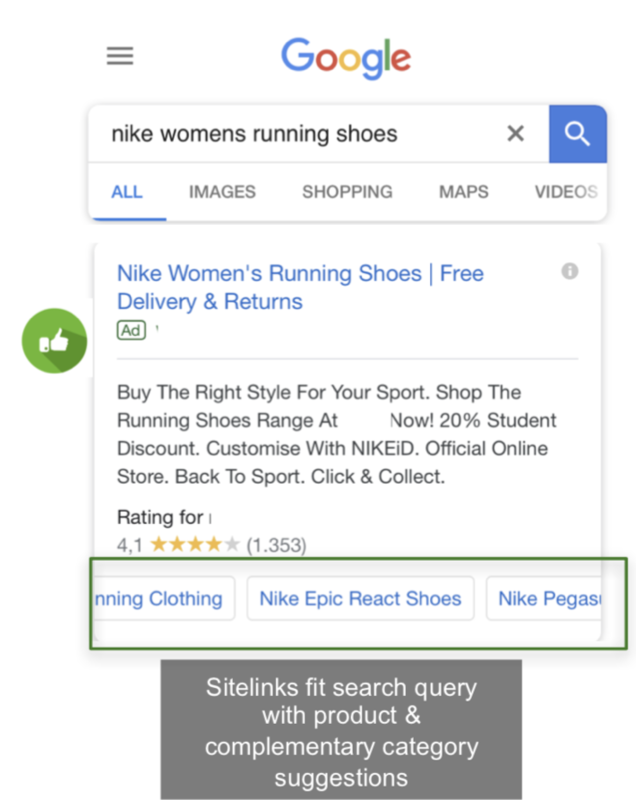 This way, the sitelink extension can be reserved for product-related links that continue the searcher’s journey. Keywords with high commercial intent are a big opportunity for eCommerce advertisers. The question is, how do you get searchers to take action? The answer: tempt them with promotions. While not an ad extension per se, product listing ads (PLAs) can generate extra attention for your products and capture more SERP real estate (when done the right way). Stefan wrapped his session up by addressing one of the biggest pains we face as PPC marketers: adding extensions for each ad manually. According to Stefan, ad extensions are growing in importance — especially on mobile devices. As you can see, they’re effective for increasing CTRs and generating relevant traffic to the products customers are looking for. 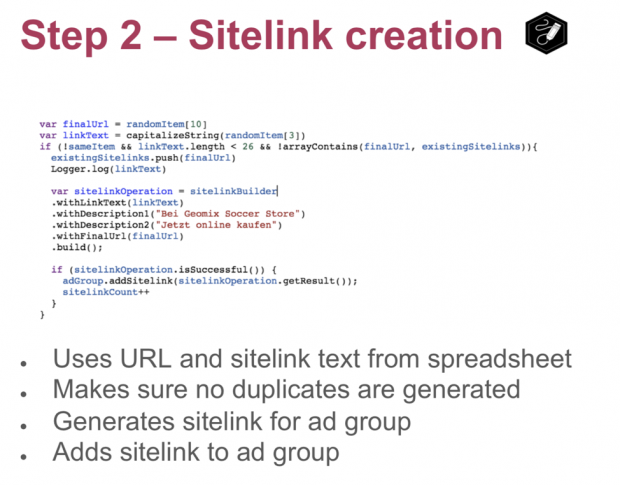 You can implement these sitelinks manually, or use a script like the one Stefan has provided here to automate the process. Whichever approach you take, it’s important to stick to best practices and principles that serve the right ads to the right searchers. It’s all about search intent. 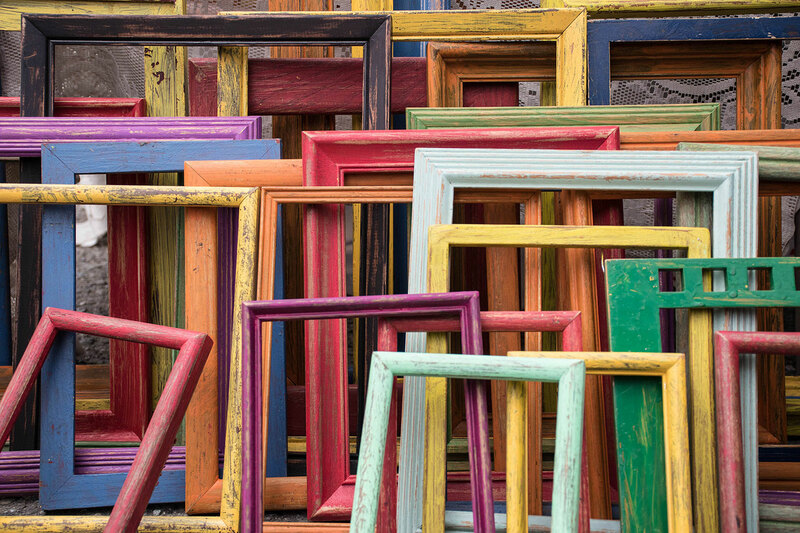 Help your audience find what they’re looking for, and you’ll see CTRs and conversions soar. Image 1-11, 14-15: Screenshots by author. Taken October 2018 from Google.